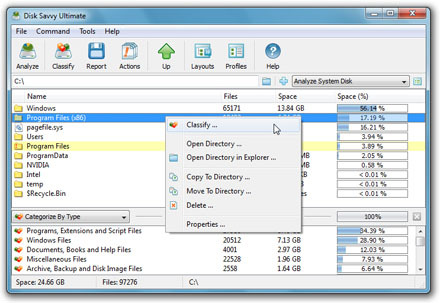 Disk Savvy Enterprise is by all means a reliable, easy-to-use and most importantly, a practical space usage analyzer. Disk Savvy Enterprise is a robust software solution for those who are looking to run complete scans for simple hard drives or entire storage systems owned by large companies. 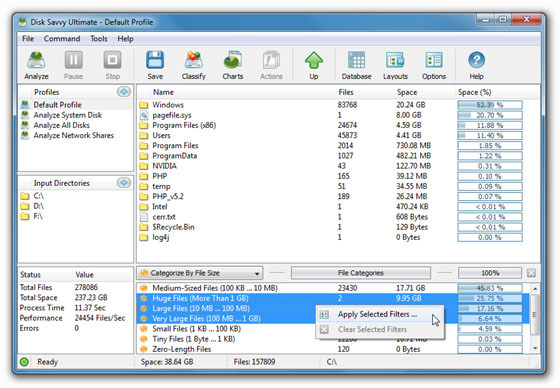 For example, the latter are able to extract information about hidden audio, video or image files and most importantly, these plugins can be added to Disk Savvy Enterprise after they have been completely tailored to your needs.